Singapore's first and longest student-run film festival, Perspectives Film Festival: Breakthroughs in Cinema returns for its eleventh edition with an exciting selection of international films. 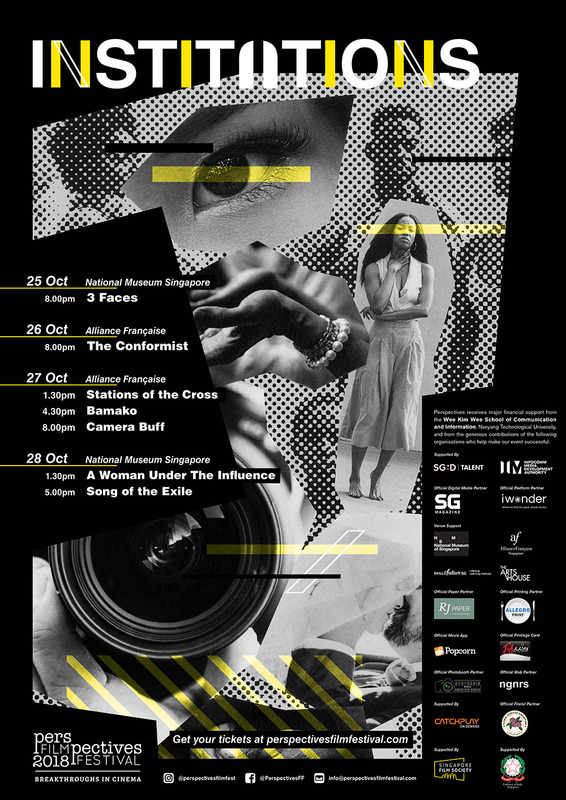 This year's festival will be held at the National Museum of Singapore and Alliance Francaise from October 25 to 28. This year's theme, Institutions, tests the limits of the individuals against the limits of their institutions. The curated films capture this perpetual tension, guided by a simple premise: no one is isolated enough to resist organization, yet no institution is formidable enough to remain unchallenged.